What a beautiful revival of the classic Rodgers and Hammerstein musical. Et cetera, et cetera, et cetera. Just kidding! Of course I have more to say about the show. 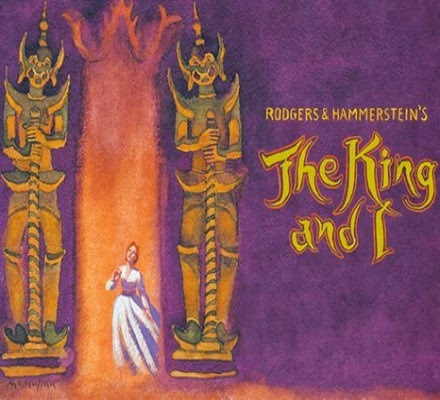 I, of course, knew of The King and I, and had heard or heard of many of the songs in its delightful score, yet I had never seen The King and I, and the first thing that struck me about this musical, which first bowed on Broadway in the 1950s and takes place in the 1860s, is that our leading lady, Anna (Kelli O'Hara), is a proto-feminist. Anna, a widow, and her son arrive in Siam, where Anna will teach English to the king's children (and others). She shrugs off the British naval officer's warnings about being a woman alone in Siam and, once she arrives at the palace, insists that the king honor their agreement. (There is a discrepancy about where she will live and what salary she'll draw.) 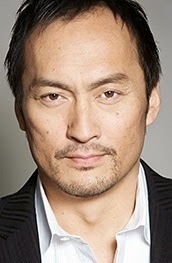 She continues this way, speaking truth to power, demanding the king (Ken Watanabe, making his Broadway debut) treat her with respect, and not like some concubine or servant. 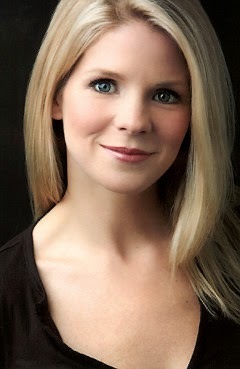 The wonderful Kelli O'Hara (The Bridges of Madison County) imbues Anna with zeal, charm and a confidence not often associated with women of her time. Also impressive are Ruthie Ann Miles (Here Lies Love) and Ashley Park as Lady Thiang and Tuptim, respectively. Lady Thiang is the king's latest wife, and Miles has a chance to show off her great voice in "Something Wonderful." Meanwhile, Tuptim is a gift the king received from Burma (because women were considered gifts back then); she is in love with someone else, Lun Tha (Here Lies Love's Conrad Ricamora), and their story arc (famously musicalized in the song, "We Kiss in a Shadow") provides much of the dramatic action toward the end of the show. With a cast of 53, director Bartlett Sher (Bridges, South Pacific) does a splendid job translating this classic musical for modern audiences, without losing any of the integrity of the original. Sher finds humor amid the political statements, and choreographer Christopher Gattelli brings a culturally-specific dance vocabulary while evoking Jerome Robbins's original choreography. By chance, I saw The King and I the day after I made a repeat visit to Hedwig and the Angry Inch. (I had to see Rebecca Naomi Jones debut as Yitzhak. She's on fire!) During intermission at the former, I thought about how wonderful it is that there's room on Broadway for both The King and I and Hedwig. Both are strong, important contributions to the canon, though their musical styles seem diametrically opposed. But I diverge. I'm pleased to report that this musical has aged well. Neither the story nor the music feel stale or outdated. It's no "puzzlement" why Sher and Lincoln Center have been keen on reviving The King and I for so many years. It is a hefty show that will resonant with today's theatergoers; it has a beautiful, lush score (played by a 30-piece orchestra); and it features Kelli O'Hara as your guide on this journey of East meets West. That's sure to leave you whistling a happy tune.